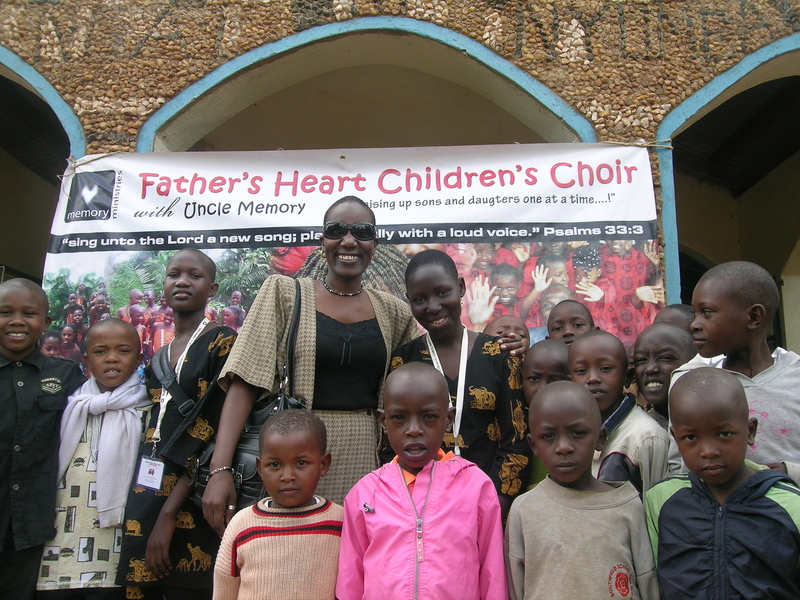 Recently, some encouraging events took place at Fathers Heart Children’s Choir Ministry, in Kampala, Uganda. This past month saw a fulfillment of one of Memory’s cherished dreams. He took with him two choir members for a two- week trip to several churches in Kenya. 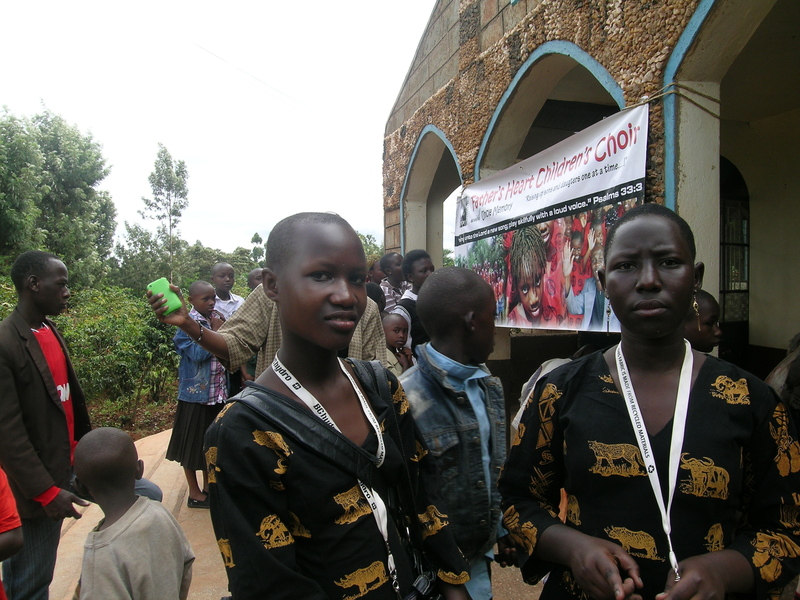 One church where they visited was the African Inland Church in Matetani, Kenya. The opportunity to minister there was arranged by Rosemary Nzembi, who herself has a ministry with children in Kenya and also conducts a children’s choir, much like Memory does in Kampala. It was a most positive time for Sandra and Esther, the two girls accompanying Memory, as they blessed the attendees with a number of songs and dances. Memory was also given the opportunity to speak at the meeting, and he shared with them from the book of Matthew, about the benefits of not hiding our talents, but rather using them to bless others. 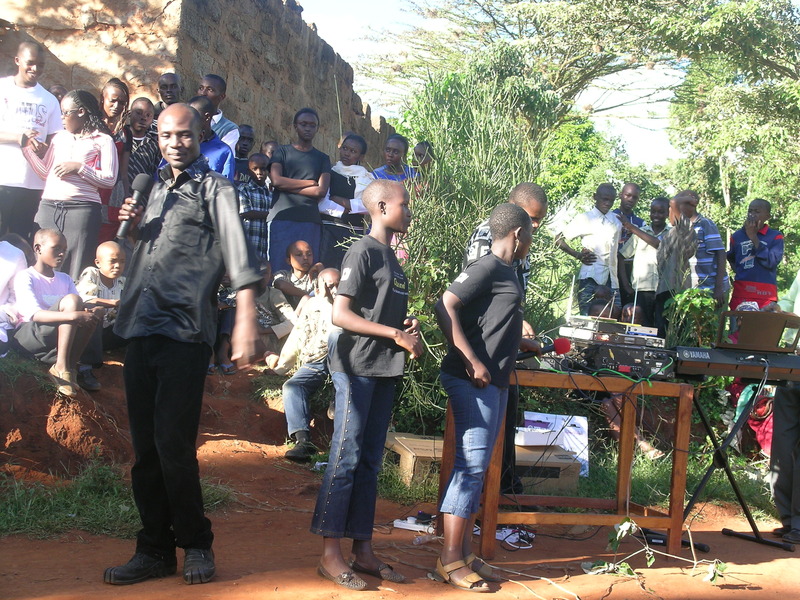 Back home in Kampala, recently a very special event took place at one of the slum churches. Representatives from Samaritan’s Purse visited the church and distributed boxes filled with special gifts for 200 children. As we know, Franklin Graham (son of Billy Graham) is the CEO of Samaritan’s Purse. This organization gathers supplies and gifts from millions of people in various nations; the gifts are then boxed and distributed to children in many countries around the world. 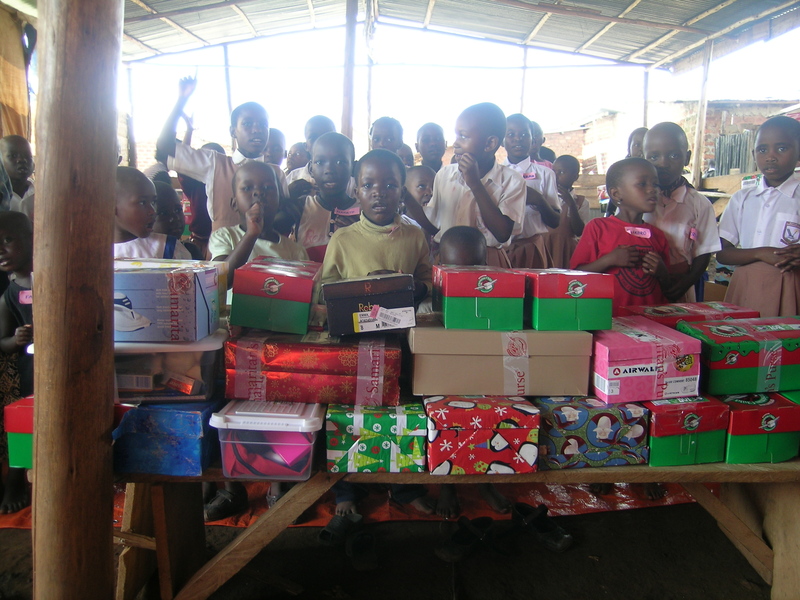 As you can see from this picture in the slum church, the children were delighted and blessed with their own personal boxes. Recently, Memory and his choir had an opportunity to consider showcasing their music on a new television program in the United Kingdom, called Gospel Music Television (GMT). The plan is to launch the GMT website on July 1, 2012. The goal of GMT is to cover the entire continents of Africa and Europe, and possibly some parts of the USA, with inspirational music that is both challenging and uplifting. GMT is hosted by DS Television Network in the United Kingdom. 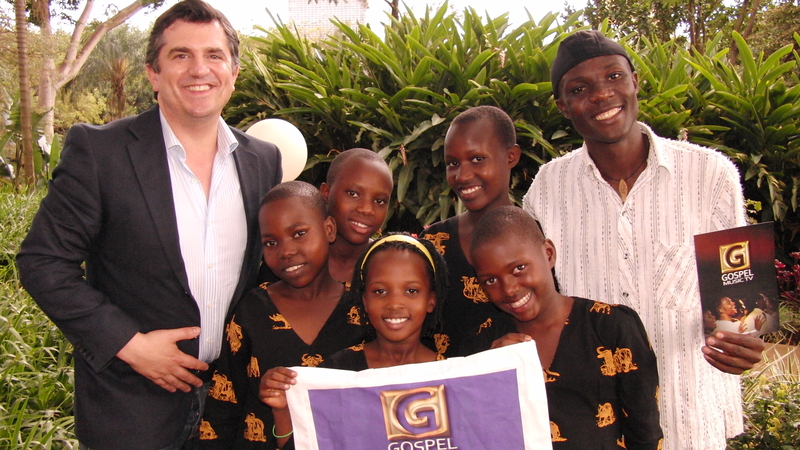 Julian Rigamonti, founder of GMT, came to Uganda to work on the above project and is seen here with some of the children from Memory’s choir. Julian has interviewed various musicians and groups from South Africa, Nigeria, Uganda, Botswana, the United Kingdom, as well as some from other parts of the world. 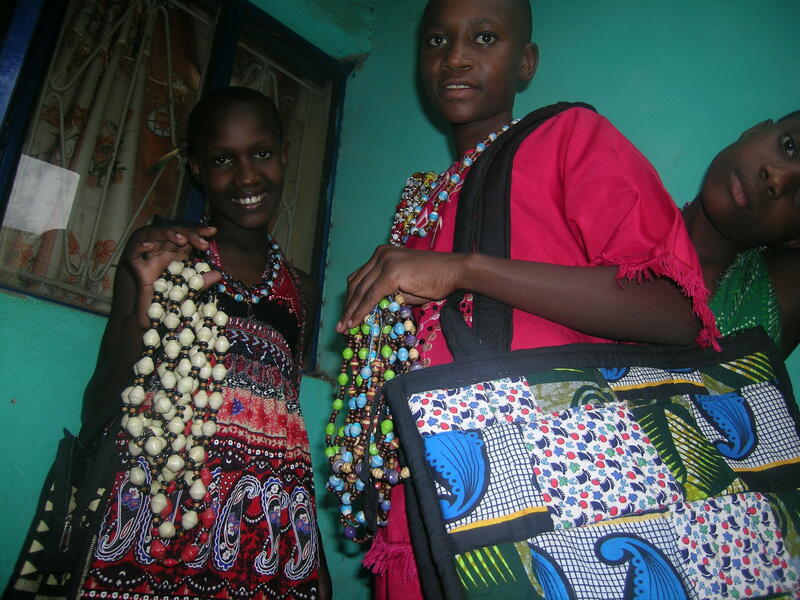 Memory is also starting a small project that highlights African crafts such as bags and jewelry. I, myself, own one of the bags and find that it is both functional and attractive. 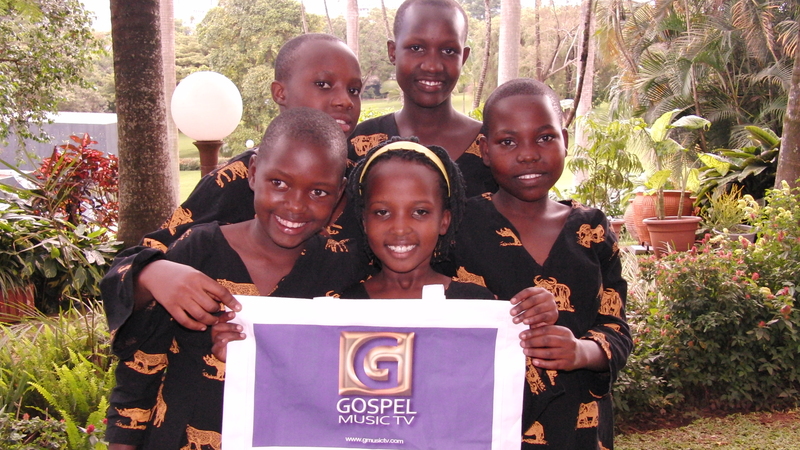 The opportunity to have ministered in Kenya and the possibility of having the choir perform on GMT is an encouragement to Memory and his choir. He is thankful to all who have made these ventures possible. 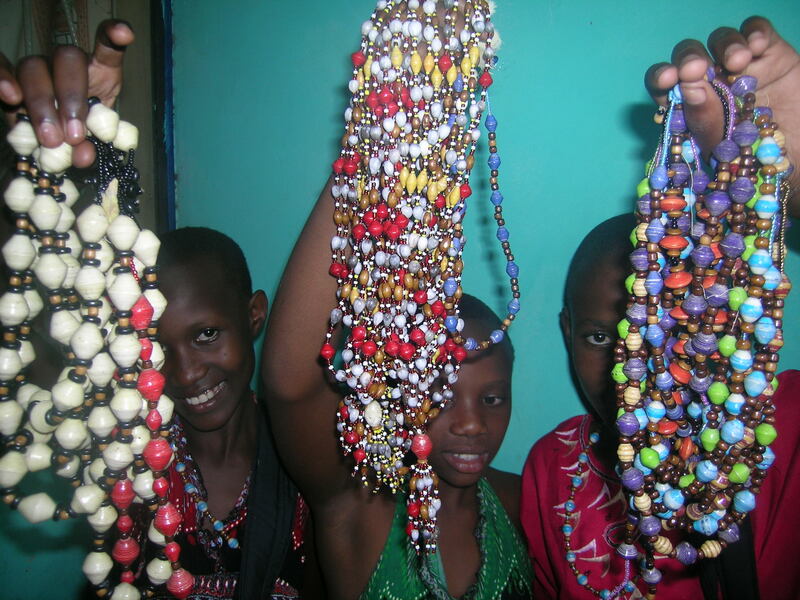 Meanwhile, the challenges of working with the children in the slums of Kampala remain a priority with Memory. He and the choir visits the slums on weekends, and as funds become available, he purchases food and other needed supplies, distributing them where needed. Please remember Fathers Heart Children’s Choir in your prayers and should you be so led, any donations would be most helpful and greatly appreciated. Married for 33 years with 4 kids, I own and operate ProVision Graphics Inc. providing Video, Graphics, Animation, Commercial Photography and Web Site Development.